Mercury Mystique car owners knew that the standard Zetec engine would not be enough. Ford quickly created the 2.0 to cater to those wanting more power. You do not have to be a Mercury vehicle owner to get one of these 4-cylinder engines. One of the things you might not know is that the I4 base is easily adaptable to most cars. You can put a Zetec 2.0 into most compact cars. This crate engine makes a great replacement. You can get a Mercury Mystique 2.0 crate engine for just the right price here. We ship them out extremely fast here at www.crateenginesforsale.com. One thing you’ll never be without when you buy an I4 Mercury engine is the combination of power and economy. Ford designed this engine to do two things very well. The first was to give the ultimate in fuel mileage. It is well known that the Zetec engines can easily obtain 30+ fuel miles per gallon. The second thing Ford does is boost the average horsepower. Most 4-cylinder engines hit around the 80 horsepower mark on a good day. Ford packs 125+ horsepower in this 2.0 engine. You can take advantage of the additional performance without paying for a larger engine. These 2.0 Zetec engines are also lightweight. You know a little about the accomplished history of the Zetec. Now we’ll tell you just how we get our hands on these motors. It starts by making contact with our trusted team. This team includes buyers and wholesalers in the automotive industry. We order parts, complete crate engines and anything else that we need to keep our business strong. We definitely make sure that all OEM crate engines that we have are in fact genuine. You can find a lot of non-OEM motors sold online. If you are a true Ford lover, getting something in a Ford displacement without the original parts is a travesty. Our 2.0 crate engines are designed to offer you the value you demand for the crate price that you thought wasn’t possible. One reason that our company sells so many 2.0 engines has nothing to do with the price tag. We admit our prices are low but our warranty is great too. We are able to attach a warranty extension to every motor for free. This means you won’t have to panic when the OEM warranty runs out. We do this strictly for our customers. We know that something purchased from us should have a lot of value. We help to extend this value by offering what we feel like is the very best warranty around. 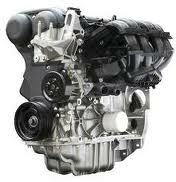 If you want a serious engine from serious people, you now know right were to buy one online. A quote from our website never lies. Once we quote you something that’s it. You can tryout the 2.0 Zetec crate engine quote form we built for this website. It is truly remarkable technology. The quotes from us can be accessed 24 hours a day and you don’t need to call us to get them first. When you have reviewed your quote details, you can then call us at (336) 355-5679. We always take your call quickly and professionally.